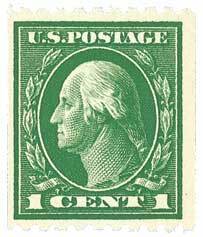 The unwatermarked perf 10 stamps had been successfully produced on flat plate presses, but were also found suitable for coil production. 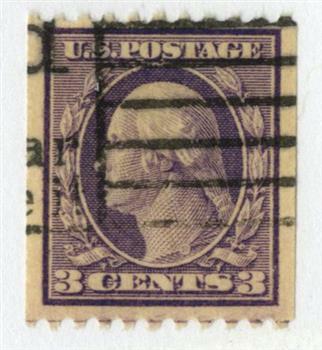 The horizontal coil stamps were created on plates of 170. 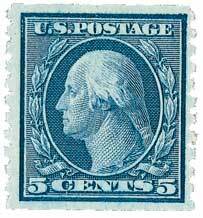 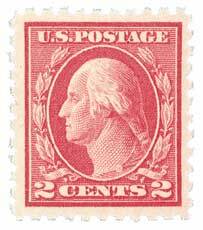 The change of the domestic mail rate to 3¢ meant #489 was in great demand. 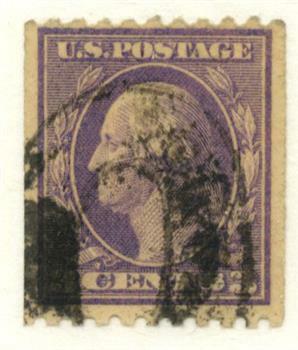 It was printed on Type I plates. 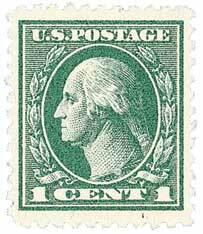 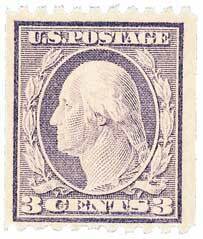 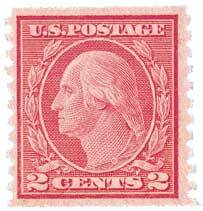 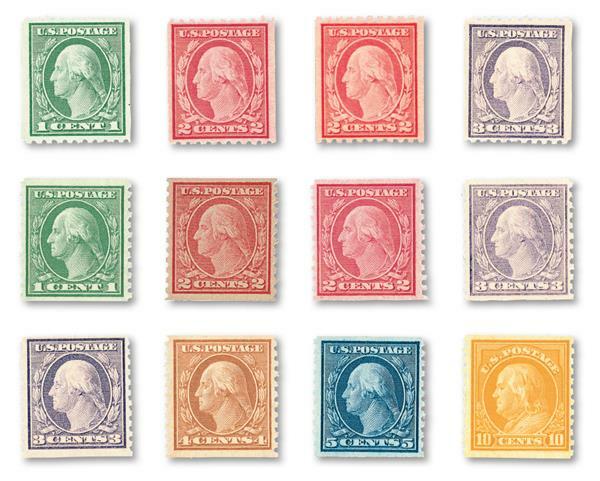 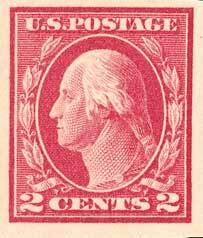 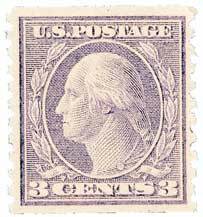 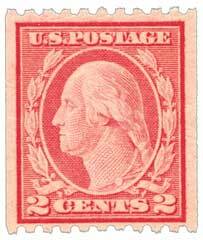 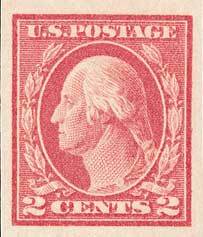 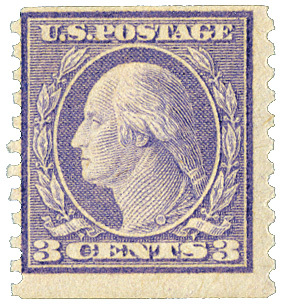 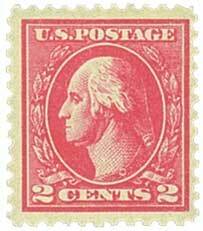 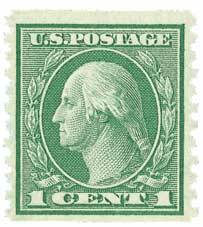 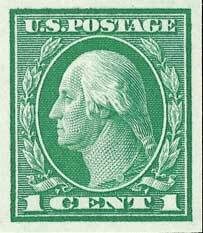 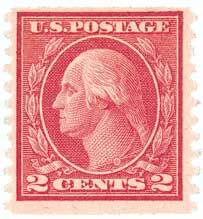 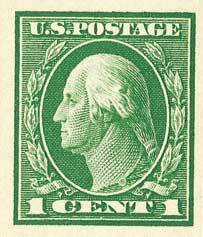 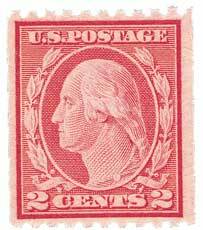 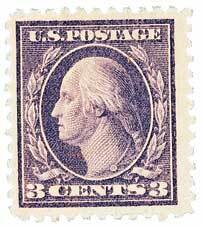 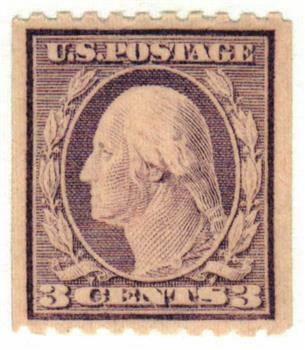 The Series of 1916-17 3¢ Washington Type I stamps have several distinguishing features: a pronounced white line underneath Washington’s ear, and the bottom two strands of hair behind his ear are shorter than the ones above it. 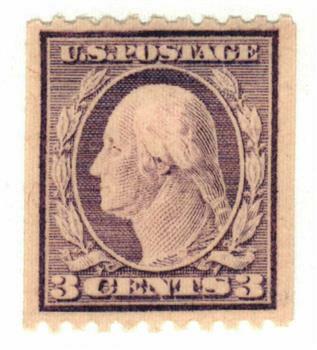 Other features are often less distinct than found on Type II or Type III dies.